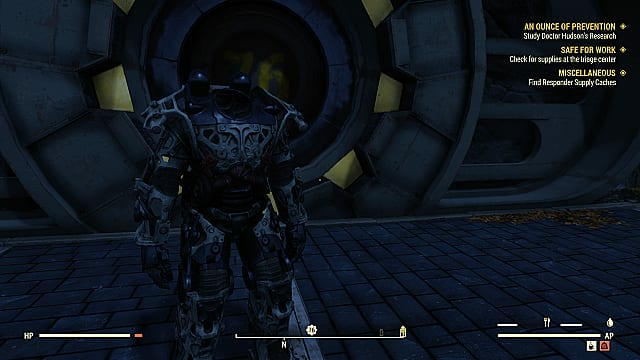 Power Armor in Fallout 76 is similar to a mech suit. It's big and heavy but gives you great protection, ability to breath underwater if you have a helmet, and it just looks cool! If you've played Fallout 3, Fallout: New Vegas, or Fallout 4, you know what power armor's about. 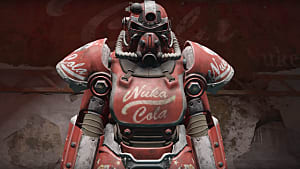 You can get power armor pretty early in Fallout 76 and at pretty much any time you wish. The only catch is that you can't use the actual armor pieces -- helmet, chest, arms, legs, etc -- until Level 15. The lowest level pieces are at Level 15, then 25, 30, 40, and possibly even higher (I've not finished yet, so can't confirm levels higher than 40 at the moment). If you reach a set of power armor and you are not a high enough level to enter, you can still take it. You must select transfer and take all the armor pieces off and put it into your inventory. However, once you are high enough level to enter a Power Armor set, you'll need a fusion core. 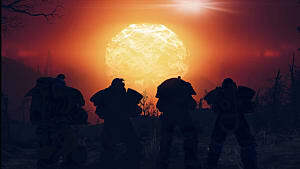 Fusion cores are required to use power armor, so be sure to save them. If nobody else has taken it, the power armors will have a fusion core in them already. The power armor chassis is all that remains when you strip it of its parts, and there is no level requirement to enter these. You won't get the extra benefits the armor pieces give, but you'll still have increased Strength, Endurance, and carrying weight, and you'll be immune to falling damage. Most power armors will be near a power armor station. This is a crafting station that allows you to build and modify your power armor if you have recipes and meet the level requirements. 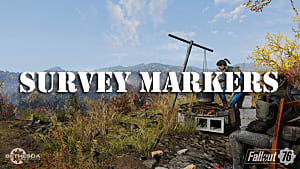 For a full list of Fallout 76 Power Armor Locations checkout our power armor locations guide. Although there are dozens of Power Armor sets throughout Fallout 76, it's important to know that you can grab everything you need very early in the game -- before you reach Level 15. Keep in mind that you may not see the Power Armor in each location when you go there. This could be because someone else took it or it hasn't spawned yet. Early in the game, you don't need to go around to different locations to get power armors and fusion cores. 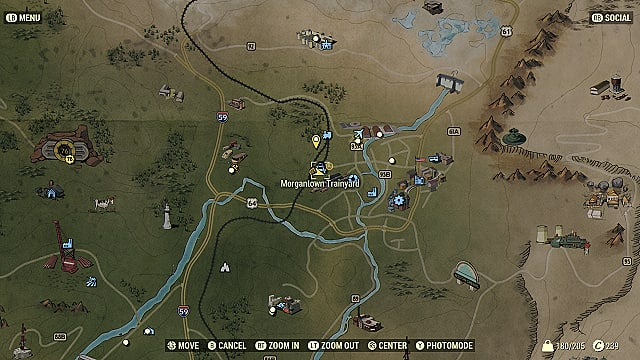 Since Fallout 76 uses different world instances, you can use that to your advantage to farm the same power armor location. 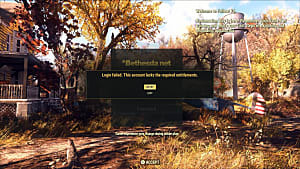 Once you've taken a power armor chassis and/or its parts, simply log out of the game. When you log back in, you will most likely be in a different instance. 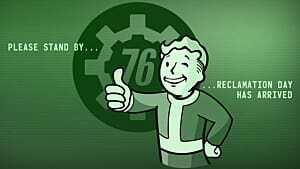 This means you can go back to that same location and get another set of power armor pieces/chassis. Depending on the location, you might want to build your C.A.M.P. close to the power armor spawn point. I had one set up next to the location near Mama Dolce's Food Processing Plant. You won't always see it, and sometimes I only saw a chassis, but this is a much more reliable method than going around to different locations. If it isn't there, just keep logging out and back in until you see it. Unlocking Excavator Power Armor and the Power Armor Station for your C.A.M.P. 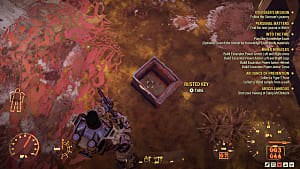 When you reach Level 25, there is a side mission in the southern portion of the map that has you to craft the Excavator Power Armor. 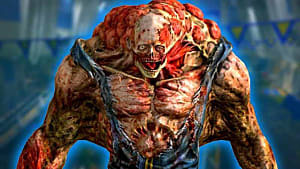 This is special armor that increases max weight by 100. 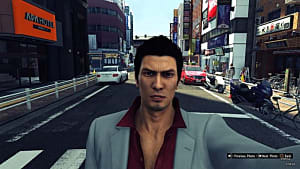 There will be a more detailed guide that fully explains this quest in the future, but keep that in mind as you progress through the game. 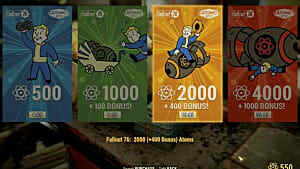 That's all you need to know to get power armor early in Fallout 76. Now you can enjoy running around in a nice suit of armor, plus the invaluable extra carrying capacity.